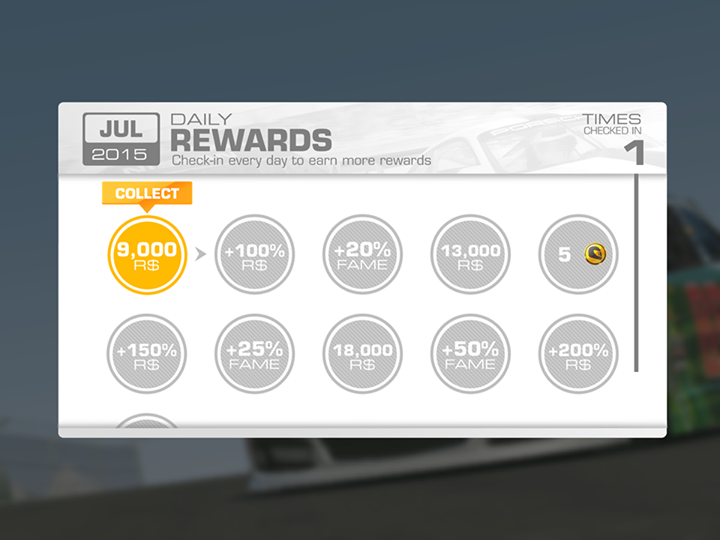 Hey Racers, Ahead of the next update we just wanted to give you a sneak peek of the new Daily Rewards system. This new system will provide greater long-term rewards than the previous 5-tier system. Please note that due to this revamp, your daily rewards will be reset for this update, and then continue to accumulate throughout the month. Each month, the rewards collection will be reset.